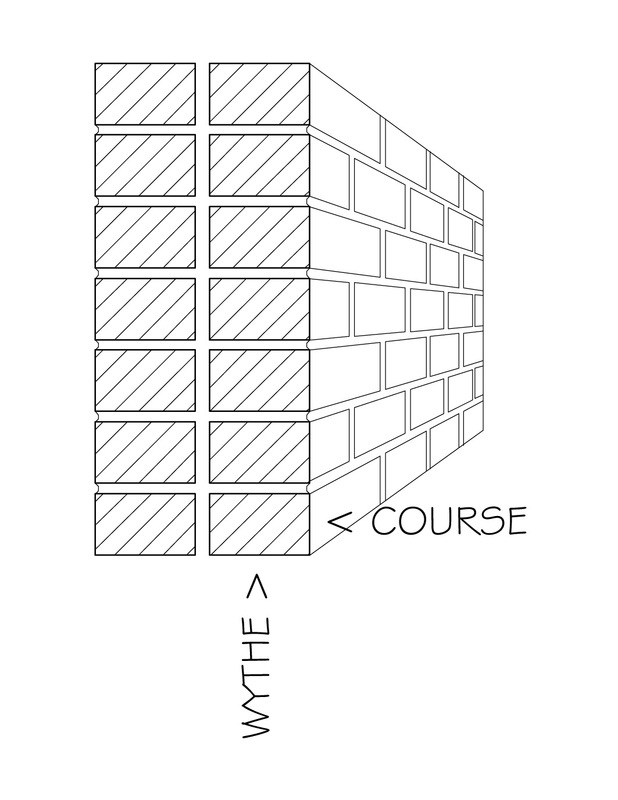 “Belt course” is an architectural term to describe a row of stone or brick, set into the facade or side of a building, used to accentuate a sill line or a separation in floors. 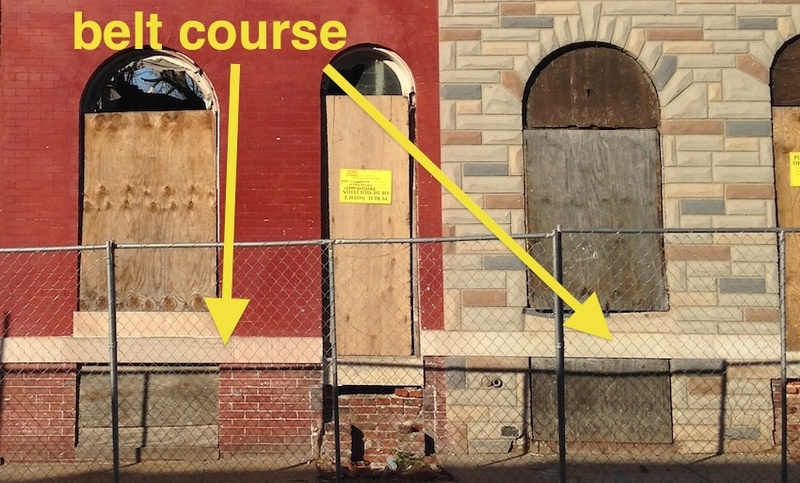 The rowhouses on Eager Street feature belt courses made of marble slabs. These slabs sit just above the marble stoops, and are meant to create a visible dividing line between first floor and basement. 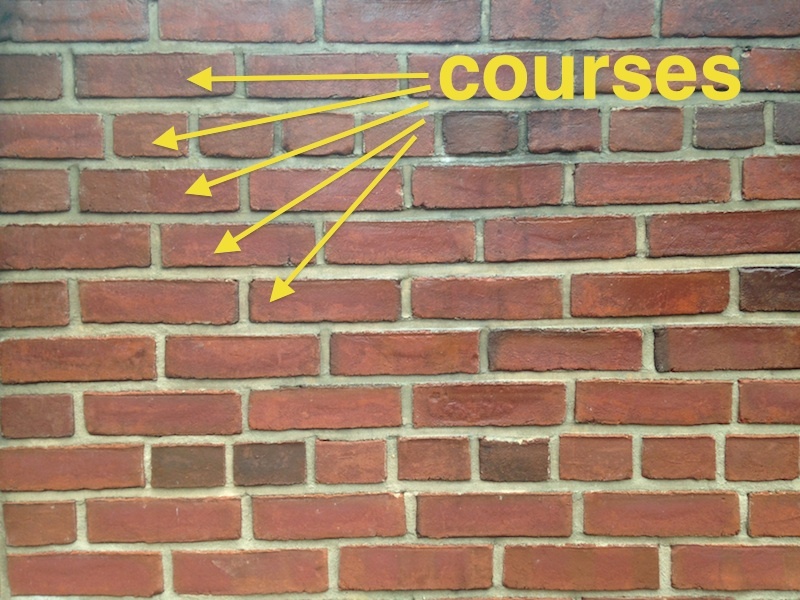 As you can see in the photo above, the belt course sits atop a course of brick. The marble slabs were fastened with a touch of mortar, though not the hefty amount you’d expect; it seems as though the belt course was held firmly in place by the surrounding masonry, leaving little need for an adhesive. The belt courses on Eager Street were purely decorative, with the bright white of the marble playing nicely off the red of the face brick. (This contrast is less pronounced in houses covered with Formstone). The marble slabs featured a slight top bevel and stood about an inch proud of the brick, creating slight shadows that further accentuated the separation of floors. These subtle plays with light and surface were minor aesthetic cues that hinted at the deeper concern of prestige: the belt course was but one way of signifying that a particular row was especially well-built, and therefore suited to a certain clientele. 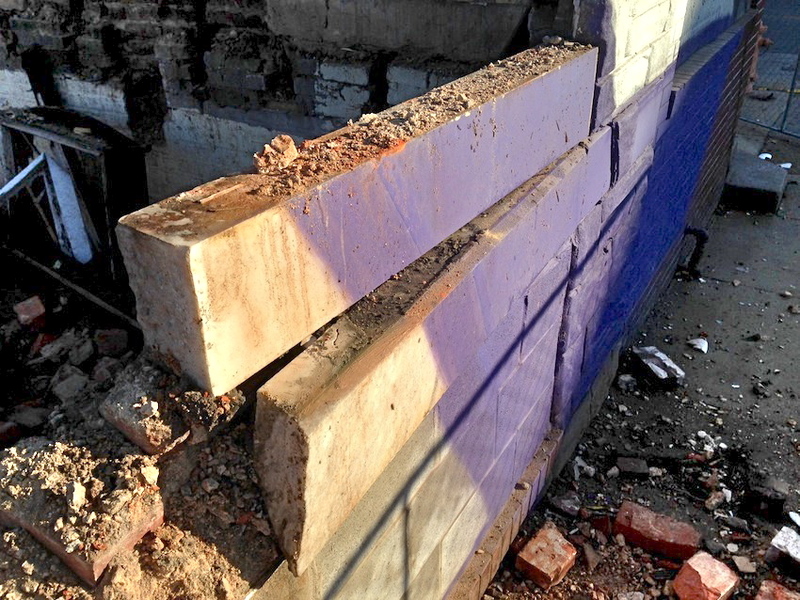 A dedicated post on what makes Eager Street different from some its neighboring streets is coming, but for now, suffice it to say that not all of the homes in the Milton-Montford neighborhood have slabs of marble running across them. Rowhouses are not known for being the widest of living arrangements; the houses are generally three or four times longer than they are wide. Space is achieved through levels, but this creates its own dilemma: where to put the stairs. While some of the grander (and wider) rowhouses in our fair city were built with curved grand entrance stairs up front and servant’s stairs in the back, our houses were built as modest affairs: minimal encroachment on the already limited 11 foot wide living was achieved through a straight shot stairway built flush against the party wall. As you can see in the photo above, the stairways themselves were both steep and narrow, the idea being to take up as little floor space as possible. 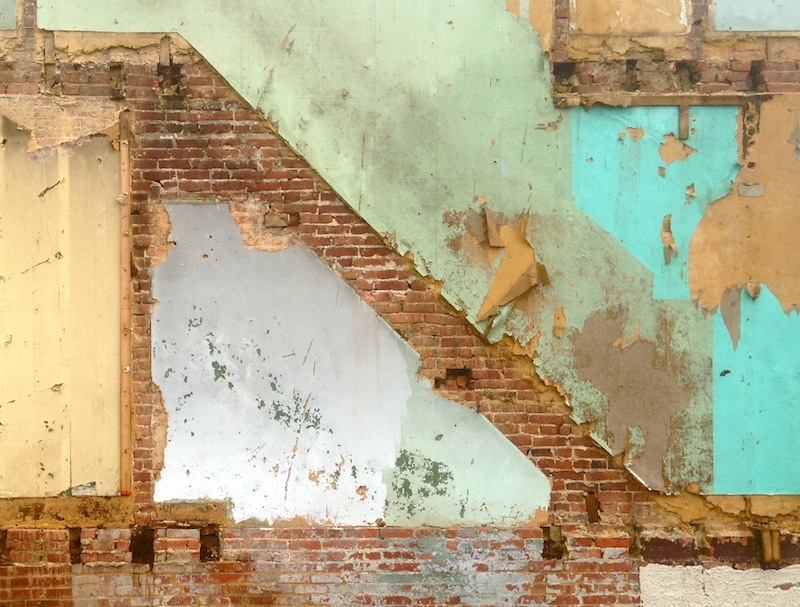 As building codes became stricter and more detailed throughout the past century, rowhouse stairs became subject to new requirements. 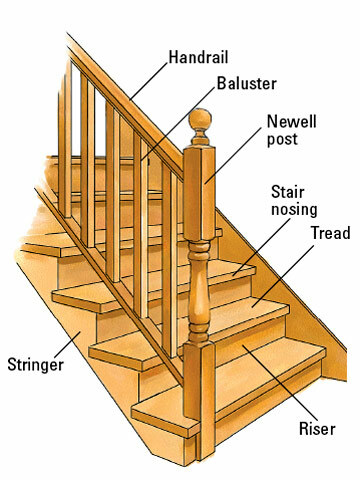 While original stairs (such as the ones in the photo above) could be grandfathered in, significant alterations or replacements were required to comply with the code’s specifications for riser height, tread width and depth and stringer pitch. If that last sentence sounded like a bunch of jargony carpenter-speak, see the diagram below. Code-compliant stair renovations have often resulted in bulky winder or half-landing stairs that eat up most of the building width. 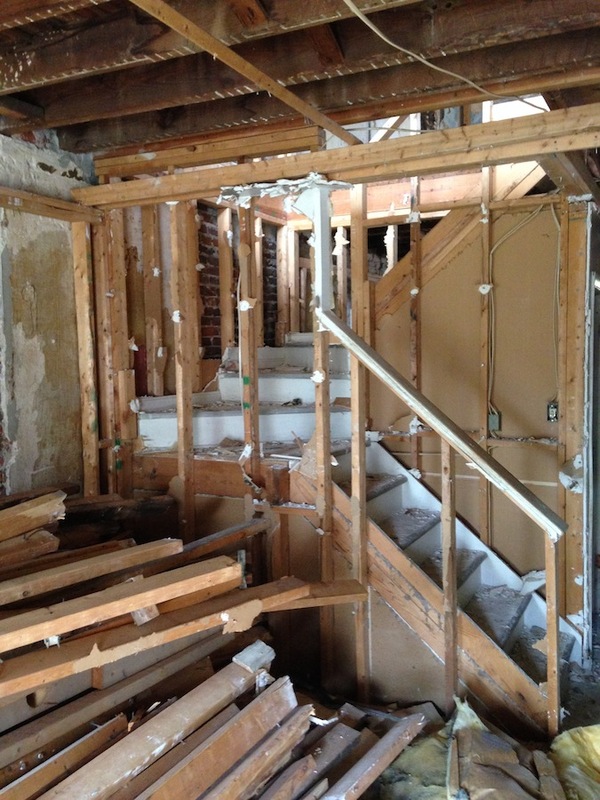 In the photo below, for instance, you can see how the newly framed stairway essentially creates a three-foot-wide wall, splitting the first floor into separate rooms. During deconstruction of a newly renovated house, we gradually reveal the original floor plan as we strip away layers of sheetrock and framing lumber. 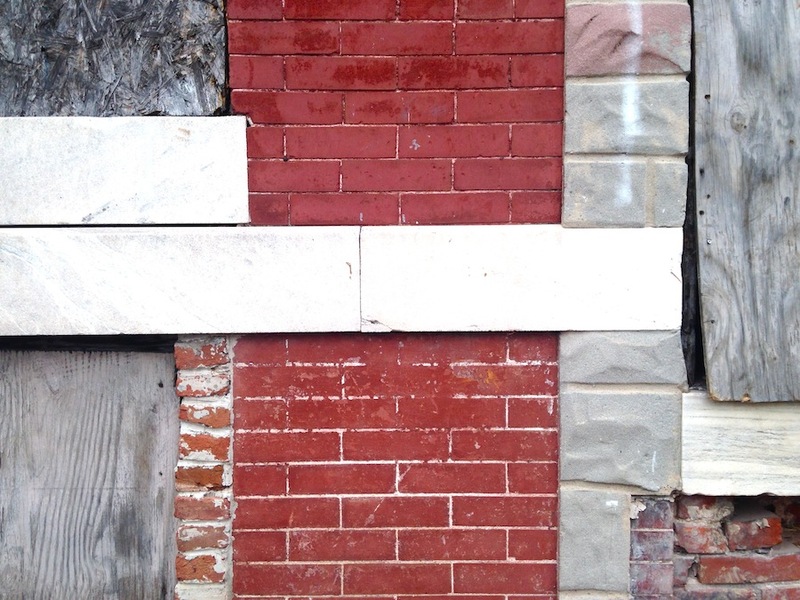 Once the new stairway has been reduced to a neatly stacked pile of lumber, evidence of the original stairway often emerges as a barren diagonal patch of exposed brick where the stringer was once fastened to the party wall. We’ve talked about joists before, but let’s go a little bit further and discuss how they’re laid in a typical rowhouse. In buildings framed exclusively or predominately of wood, joists tie in to other wood members; they’re usually either nailed or fastened with a joint, and they generally sit on a sill plate or another horizontal member. When rowhouses were built, however, they did not feature extensive vertical framing along the walls, so there would have been no horizontal member to fasten the joist to. Enter the joist pocket. Joist pockets are recesses built into masonry walls that allow for joists to sit snugly inside. During construction of the walls, bricklayers would interrupt the bond to accommodate these recesses. These pockets were often crude affairs, with bits of brick thrown together with gobs of mortar to create the desired opening. Joists were then inserted and set atop one wythe of brick, with the rest of the wall built around the newly created level. Rowhouse joists do more than just offer support for floors and ceilings- because they are tied into the masonry, they act as rigid structural members between brick walls that would otherwise be teetering towers of hardened clay. The weight of the joists (and the flooring, fixtures, furniture, humans they support) bears on the walls and prevents them from leaning in either direction. 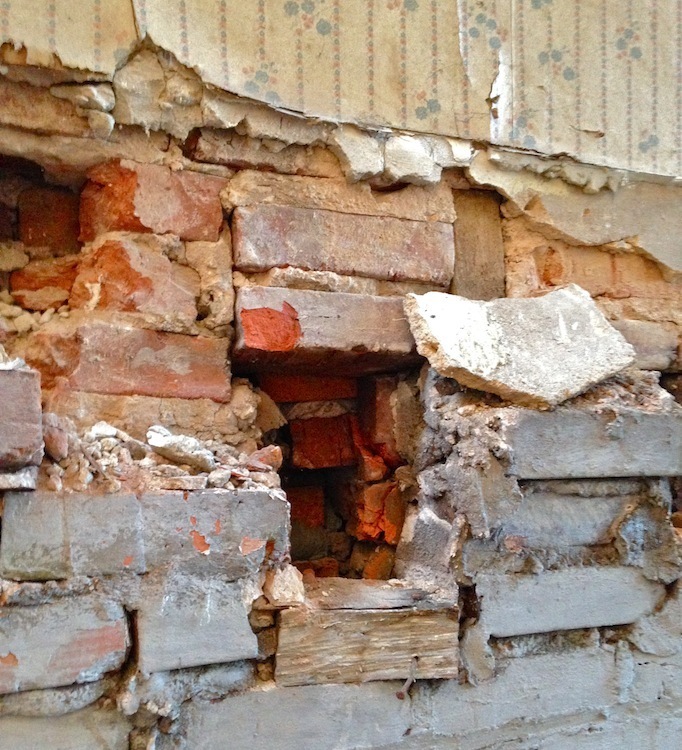 Since walls were built around joists once they’d been laid in a pocket, it’s tough to remove the entire joist without disturbing the bricks around it. For this reason, we cut our joists as close to the wall as possible, leaving a little joist stub in the pocket. 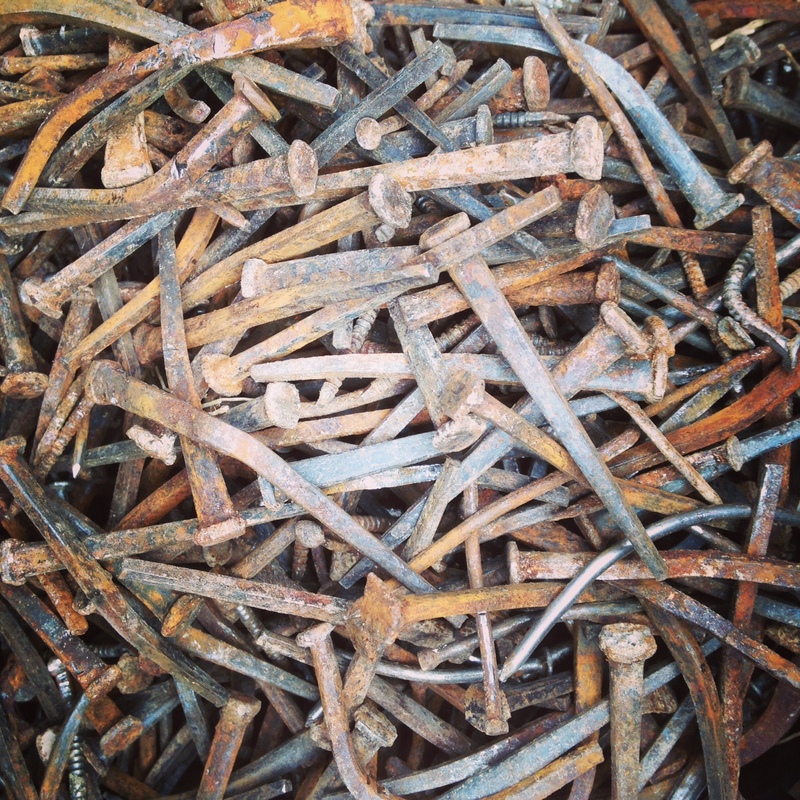 Cut nails (so called because they were cut from a larger sheet of iron or steel) largely replaced handmade nails during the early to mid 19th century. This was huge- widespread availability of a previously rare building material meant the decline of timber-framing (where large timber members are fitted and joined to one another) and the rise of balloon and platform framing, where framing members are attached to one another with nails. Though cut nails ushered in an era where the metal fastener went from being a scarce luxury to a mass-produced commodity, their relevance was short-lived: by the late 19th century, wire nails (picture a nail…you’re picturing a wire nail) soon replaced cut nails as the fastener of choice. By 1892, more wire nails were being produced than cut nails and by 1913, 90% of the nails being produced were wire nails (thanks, Wikipedia). 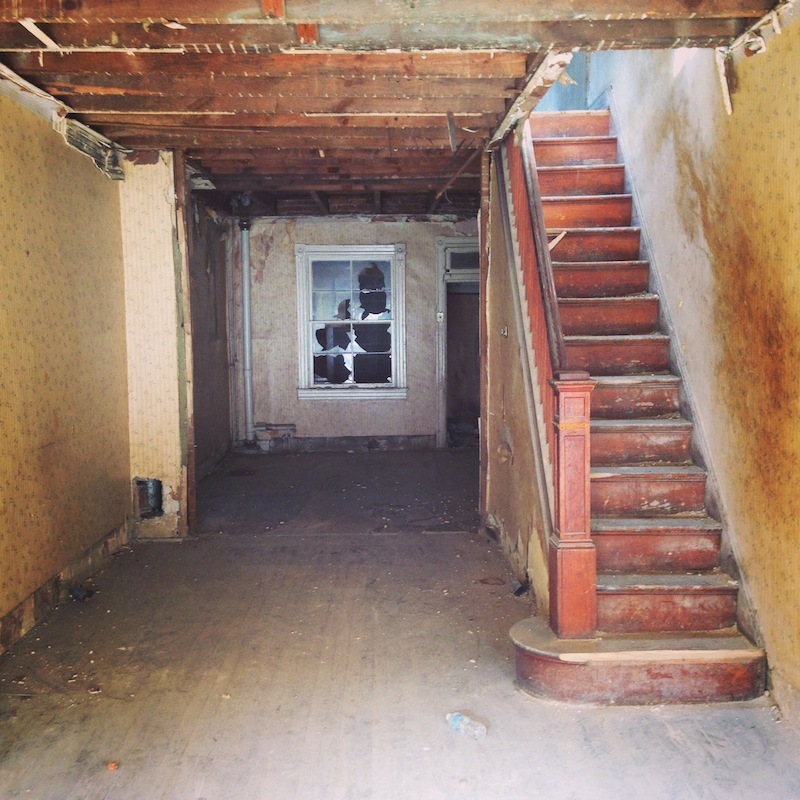 Our houses were built around 1907, and all of the framing in our houses uses cut nails, so it’s likely that the nails we’re pulling from joists and studs were some of the last cut nails used in Baltimore before wire nails replaced them. Lath. The unsung hero of the home. The neglected lattice of the dwelling apparatus. Lath. 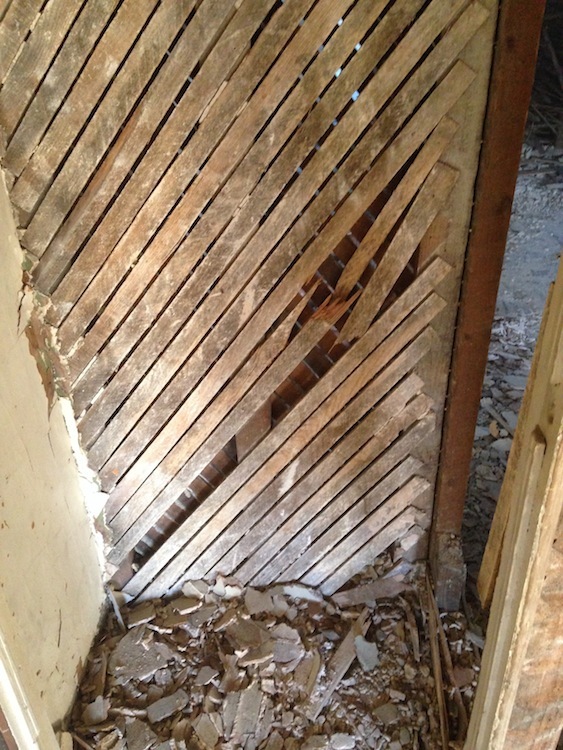 A lath is a thin strip of wood, used in tandem with other laths, as the foundation for plaster in a wall or ceiling. The word derives from the Old English word “laett” which has common etymological roots with the word “lattice”. 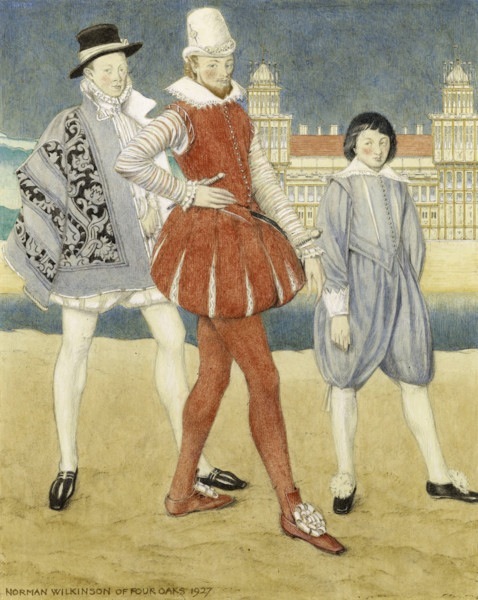 Since the time of Shakespeare, laths have been associated as lowly materials: in Romeo and Juliet, Benvolio mentions a “Tartar’s painted bow of lath” to refer to a cheap, counterfeit weapon. And in Titus Andronicus, Demetrius contemptuously refers to a poor swordsman’s weapon as nothing more than an impotent lath, warning to “have your lath glued within your sheath/till you know better how to handle it.” Lath gets a bad wrap. But lath was crucial! Where plaster could not be applied directly to a solid surface (i.e. 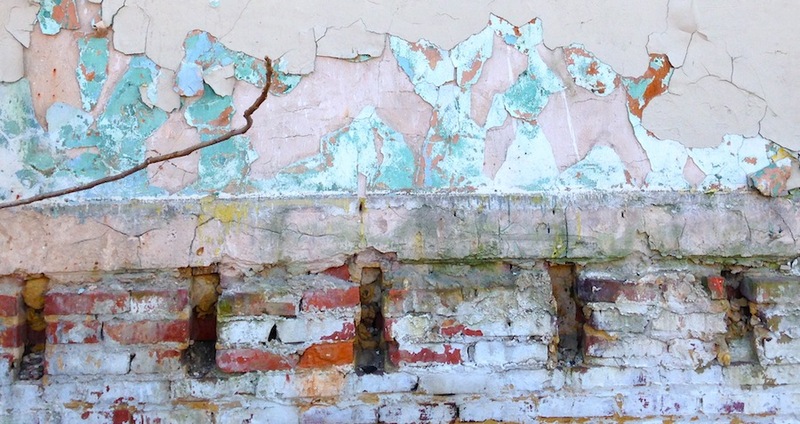 a brick wall), laths were fastened to studs or joists to catch plaster. 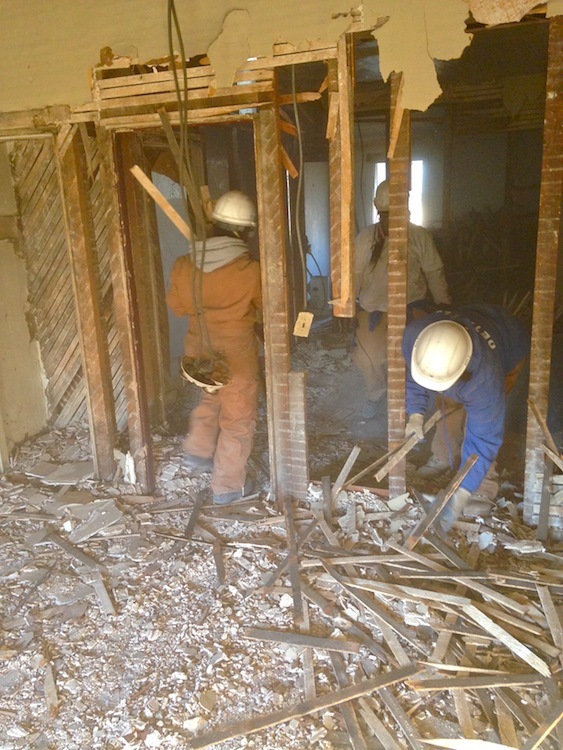 Drywall has replaced lath and plaster construction, but we encounter it daily as we deconstruct Eager Street. 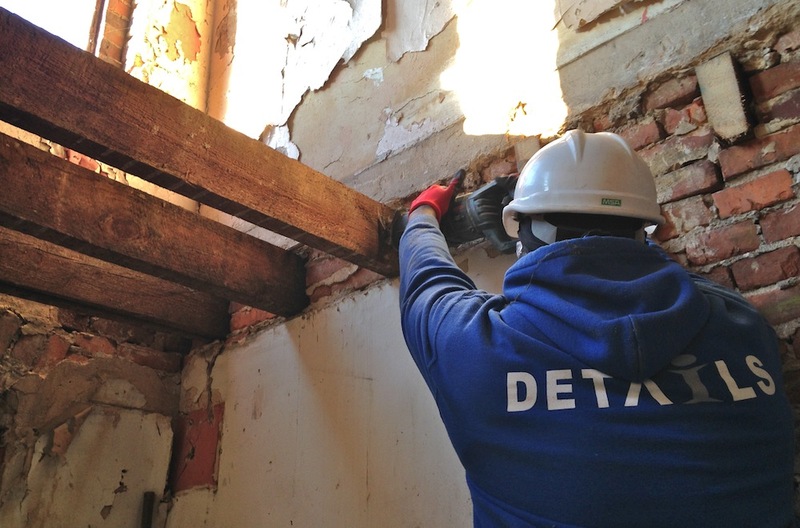 In the photo below, Chanel, Bernadette and Wandesa remove plaster and lath from a wall in one of the houses. On the exposed studs, you can see white lines where the plaster seeped through the laths. The lath we pull from Eager Street gets sorted and recycled- there’s not much of a salvage value to it. We usually end up hauling them out of houses in trash cans, or as we like to call them, Barrels of Laths. 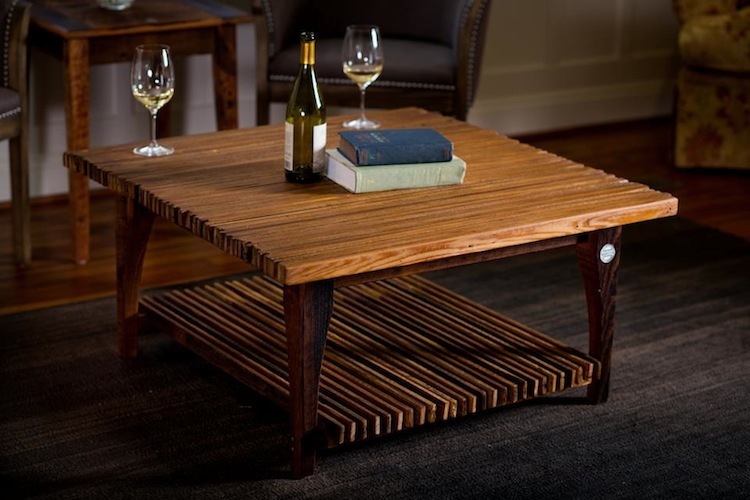 Gorgeous table from Sandtown Millworks made from stuff most people throw away.